In this biographical narrative, a middle school student writes about his friend Derek at a turning point in life. On December 19, Derek Greenspan will celebrate his 13th birthday at a Bar Mitzvah. In front of his family and friends he will be called to read from the Torah. This sacred text contains the first five books of the Hebrew Bible. Derek has gone to Hebrew School for three years and additionally has put in six months of studying and practicing, which he describes as, “Man, that’s a killer.” After all of the Hebrew School, he can read most any Hebrew, even words without vowels. Derek says, “I like being Jewish because it is a different way of life.” He also says that he is looking forward to his Bar Mitzvah. He has had to work so hard to prepare for it. He thinks that all of the hard work has paid off. Afterward, there is a big family celebration full of good food and good cheer. Derek was born in Modesto, California, and currently lives in Almond Valley. Last year he went to Almond Creek Elementary School. Now he is a 7th grader at Waldon Middle School. He has two sisters, Jamey and Kerry. He likes riding his BMX bike, skateboarding, acting and performing magic tricks. He has been in many plays, including The Wiz. He played the Tin Man. When asked why having a Bar Mitzvah is important to him, Derek answered, “My mom regrets never having a Bat Mitzvah, (a ceremony for girls becoming women). I promised myself that I would have a Bar Mitzvah. It is a goal I have worked very hard to accomplish. After his Bar Mitzvah Derek will attend a confirmation ceremony, to confirm that he is a man. After he has achieved this, he will count as part of the congregation in synagogue. He can be among the ten people minimum that must be present in the congregation to have a service. At home, he will be expected to act older, like an adult. Derek has been under a lot of pressure lately. He is trying to get in his studies (in public school and in Hebrew School) and in setting up his Bar Mitzvah. He has had a lot of choices to make. He has had to choose the theme, the invitations—including the paper, type fonts, and what he wants to say, the pictures, the food, and more. He told his parents, “Hebrew study and my Bar Mitzvah have taken priority over my school work this past month.” He was worried that his parents wouldn’t agree with his priorities. But they do. Derek is eagerly looking forward to his Bar Mitzvah and accomplishing his greatest goal. His parents must be very proud to have him as their son. He is very smart, kind, and most of all, mature. December 19 is the day Derek actually becomes a man, but most people who know him agree, he already is. 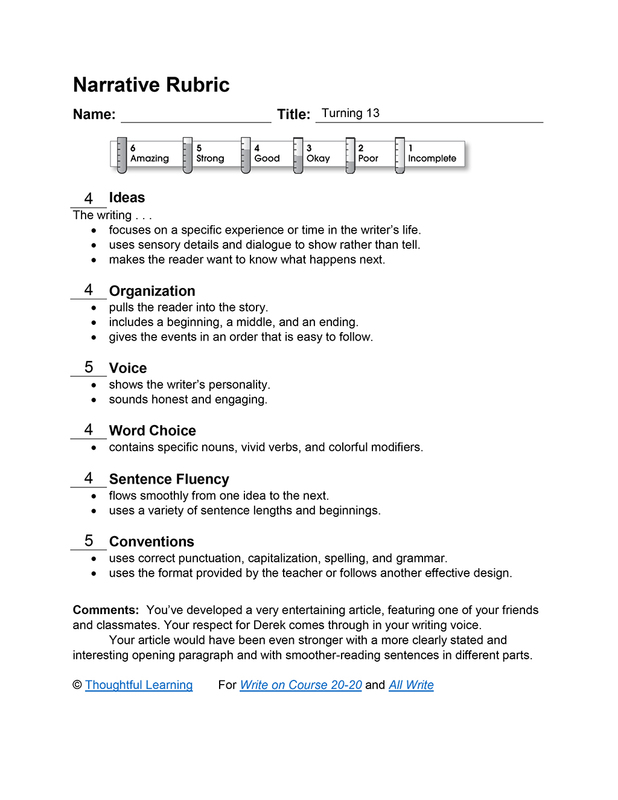 Turning 13 by Thoughtful Learning is licensed under a Creative Commons Attribution-NonCommercial-ShareAlike 4.0 International License. Based on a work at k12.thoughtfullearning.com/assessmentmodels/turning-13.